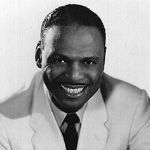 Earl “Fatha” Hines (December 28, 1903 – April 22, 1983), was an American jazz pianist and bandleader. He was one of the most influential figures in the development of jazz piano and, according to one major source, is “one of a small number of pianists whose playing shaped the history of jazz”. In 1925, after much family debate, Hines moved to Chicago, Illinois. The city was then the world’s jazz capital, home to Jelly Roll Morton and King Oliver. Hines started in The Elite no. 2 Club but soon joined Carroll Dickerson‘s band, with whom he also toured on the Pantages Theatre Circuit to Los Angeles and back. In the poolroom at Chicago’s Black Musicians’ Union, Local 208 on State & 39th, Hines met Louis Armstrong. They played together at the Union piano. Armstrong joined Hines in Carroll Dickerson‘s band at the Sunset Cafe. In 1927, this became Armstrong’s band under the musical direction of Hines. Later that year, Armstrong revamped his Okeh Records recording-only band, Louis Armstrong’s Hot Five and replaced his wife Lil Hardin Armstrong on piano with Hines. Armstrong and Hines then recorded what are often regarded as some of the most important jazz records ever made.